Angered by what they considered to be “uneven distributions” among the 15 beneficiaries of a large trust, six of the beneficiaries banded together to share the legal cost of either changing the trust, or changing the trustees. They had seen an ad from a law firm claiming a high success rate in “getting trust beneficiaries what they want and need.” Agreeing to share the costs of litigation, and appearing before the Court regulating the trust, they pleaded their case. Following their pleas, the judge issued an order for the trust to pay their legal costs, and for the trustee to increase their distributions by 10 percent. However, attorney fees for both the beneficiaries and the trustee had cost the trust 20 percent of its value. Everyone’s distributions were lowered. The above true story is from a new book from the Institute for Preparing Heirs, Executors, Trustees & Beneficiaries: Honoring The Intent, The Law & Emerging Trends. This story makes the point that it’s seldom in the best interest of the beneficiaries, trustees and trust creator when litigation seems the best, and only, course of action when beneficiaries feel unfairly treated. But is litigation really preventable? 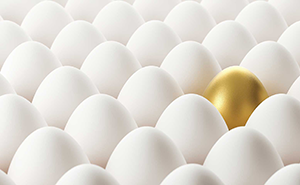 Can beneficiaries be educated to be good beneficiaries and ultimately, good trustees? We believe the answer is yes! And, what can trust creators, with the help of their professional advisors, do to avoid future litigation and/or fractures among beneficiaries? 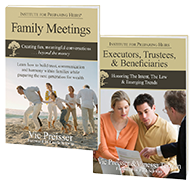 The authors of Executors, Trustees & Beneficiaries, Vic Preisser and Vanessa Terzian, make the point that while parents may devote hundreds of legal and accounting hours preparing their assets for transfer, they seldom spend the same amount of time preparing their heirs to receive and manage those same assets—the solid foundation for becoming good beneficiaries. By definition, Trusted Family Advisors—financial advisors and estate attorneys—have formed a relationship with the entire client family before the estate transition, and have taken the client/advisor relationship to a new level beyond investment management and estate planning. 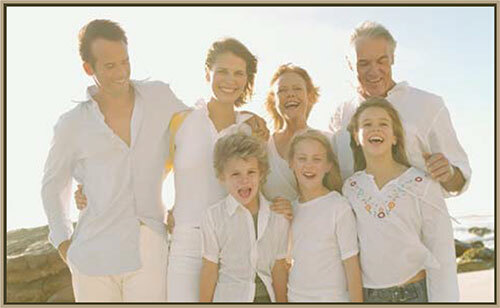 Trusted Family Advisors offer HNW families inheritance planning strategies and tools aimed at preparing and unifying the entire family before wealth transfer. Trusted Family Advisors understand the intentions of the trust creator (as articulated in the Family Wealth Mission Statement) and can offer guidance (e.g. holding regular family meetings) whereby beneficiaries are far more likely to gain an appreciation for the intentions of the wealth creator—and ultimately the benefits that come with a trust. And, these forward-thinking advisors are more likely to retain the beneficiaries and the assets post-wealth transfer. Just like beneficiaries, advisors need new training and new tools to engage the parents, typically the clients, who will then engage their children in the inheritance conversations. These discussions serve to reinforce that not only does the money matter, such as preservation and management of assets, but the family matters as well, including family legacy and values that hold families together. More about the benefits of advisor training. New thinking also suggests that beneficiaries benefit from a combination of skills, both professional and mentoring. The authors write: “The professional advisors manage the traditional aspects of the trust such as investing, reporting, legal interpretations . . . while the mentoring member/trustee keeps the family's values and intent in mind and does his/her best to prepare the beneficiaries to handle their received assets in a manner that is comfortable to them and helps them fulfill their individual life and career goals.” A mentor can be a family friend, relative, and even their Trusted Family Advisor. The book also contains a series of helpful self-checklists that individuals can use to better understand the knowledge, skills, qualifications and even temperament required to best serve as executor, trustee and beneficiary. To order copies of Executors, Trustees & Beneficiaries, go to our Bookstore.